Don’t stress about chemistry homework. Get a tutor. Our expert chemistry tutors are ready to help you 24/7 with everything from balancing chemical equations to finding the oxidation number to understanding acids and bases. Taking AP® Chemistry? Our tutors can help with that, too. Our chemistry tutors are the best of the best. They include teachers and professors, professionals with advanced degrees (like a Ph.D. in chemistry from MIT! ), and hail from some of the best colleges in the country. And, our students see results—90% of them report better grades, more confidence and higher homework completion. 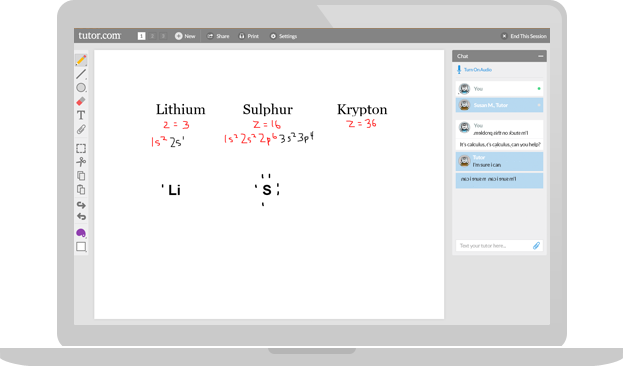 Start getting better grades in your chemistry class—find a chemistry tutor now.